“Hello, nobody finds our lovely website in search engines! We think we need a little bit search engine optimization a la nerd” Ah well, the nerd’s got some advice and made an appointment for an SEO analysis in Berlin straight away. “That fits in well, we can do something about it”, straight away the nerd knew, as he likes to use only the finest ingredients for his work: a fresh keyword analysis, a pinch of social media marketing, and a well-seasoned Onpage optimisation with a harmonic text note. These SEO ingredients that ever agency should use were specifically composed to an SEO menu for the search engines. And while the CMSms SEO a la nerd was still simmering, the first bots of the search engines came round already. 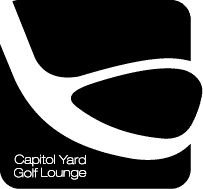 They got a whiff and nudged the attractive website of Capital Yard Golf Lounge together with SEO agency Berlin up in the SERPs. It was simply not an option, that such an appealing website (not to mention the location) could not be found by the right people amongst other website on the net. That way, the nerd with his SEO from Berlin once again brought a website to the top of Google, with good taste, hard work and by putting in a lot of effort. Admittedly, the guests only see the great doings of the Capitol Yard Golf Lounge team when visiting. But since the involvement of the nerd’s SEO agency you find the website for your pre-orders and event plans without searching too long on the internet! See for yourself!